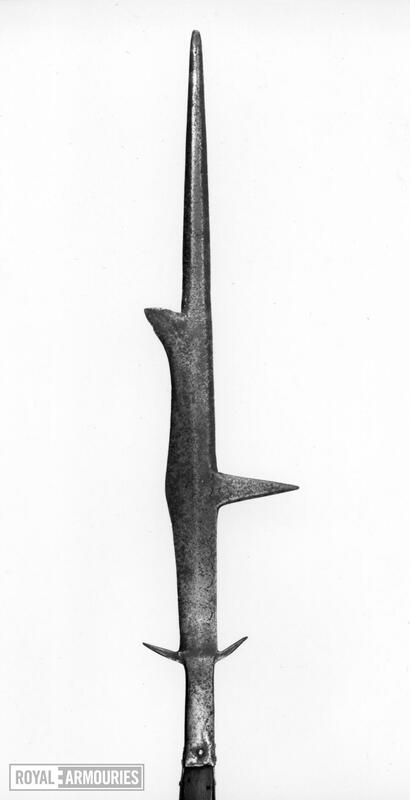 The bill is a long staff weapon, which was used by the infantry. It was particularly popular with the English in the medieval period. The bill came in to use in the mid-13th century. 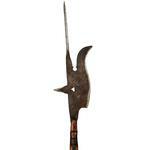 It derives from an agricultural implement called the billhook, which was used for pruning and chopping. 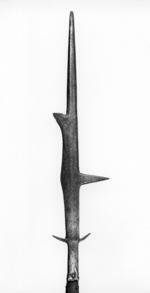 The head of the bill was made up of a large single-spiked blade, which split into a sharp forward-curving hook or fluke, and a reinforced top spike. It was mounted on a long wooden haft. The bill was also used in other countries, such as in Italy where it was known as a roncone. The infantry commonly used long staff weapons, like the bill, during the Hundred Years' War. The blade was for cutting and the top spike for thrusting. The rear curved hook could also be used as a rein-cutter or to unhorse mounted men-at-arms. 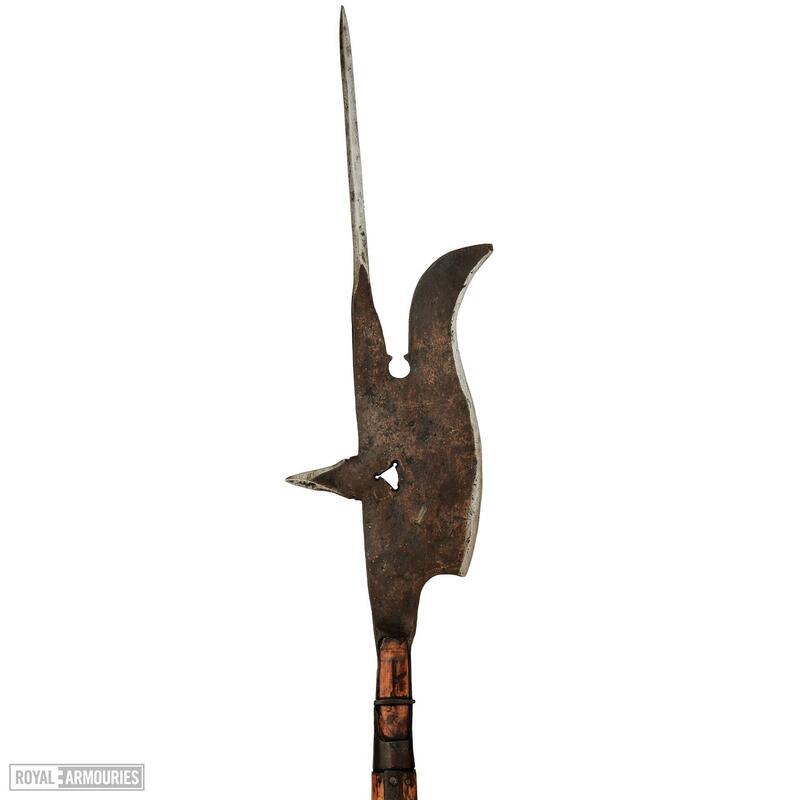 Often these weapons had iron strips, or langets, applied towards the top of the haft. These would be used for reinforcement, as well as protection from slashing blows from other weapons.